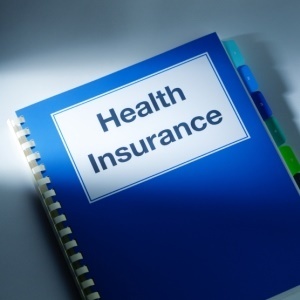 The government’s proposed National Health Insurance (NHI) scheme aims to induce “massive” restructuring of the public and private healthcare sectors that could see some citizens getting lower-quality services than they currently receive from private practitioners and hospitals. There is also some risk that poor workers, rural dwellers and farm labourers might receive less equitable treatment under the NHI, which aims to penalise patients for bypassing the referral system, encourages the use of health facilities close to home and doesn’t provide for transport costs, which amplify the high cost of accessing healthcare for the poor. The referral system requires that patients have to first present themselves at a primary healthcare facility or a contracted general practitioner, for example, and then be referred through the system to specialists and hospitals. These were among issues a panel of health experts raised at a public discussion held at the University of KwaZulu-Natal, on whether the NHI white paper meets the human rights objective of access to quality healthcare enshrined in the Constitution. Leslie London of the University of Cape Town’s School of Public Health and Family Medicine said there would be “winners and losers” under NHI. “Some people expect the NHI to deliver the same amount of services they currently get in private health services, but that will not happen. They will get less,” he said. “The white paper is quiet on how the NHI is going to deal with rationing. London said farm workers relied on farmers for transport to access healthcare and there was no mention of workers’ biggest cost of transport to get to facilities. “Unless it is mapped out very clearly, it does risk increasing inequality,” London said. Concern around how patients’ medical information will be protected from the big business of international trade in medical data was another issue London raised. Department of health deputy director-general of health, regulation and compliance management, Anban Pillay, said at present access to healthcare was based on households’ socioeconomic status, but under the NHI there would be no out-of-pocket payments at the point of treatment. “At present, those with a higher socioeconomic status have the greatest access, and those with the least wealth have the greatest need, but the least access. "There needs to be massive reorganisation of both public and private healthcare. The young and healthy should subsidise the sick and old,” Pillay said. The NHI white paper draws several illustrations that explore possible funding methods, which include raising income tax levels incrementally over a few years or by raising a payroll levy similar to the current skills development levy, raising VAT, or using all three tax collection methods. “It is clearly a social investment, it is not something you are going to invest in to gain some profits,” he said. Once fully implemented, NHI benefits would include what was covered by the Compensation for Occupational Injuries and Diseases Act, the Road Accident Fund, Unemployment Insurance Fund and Workmen’s Compensation Act, Pillay said. Pillay said the NHI would improve labour productivity, and Asian countries, which had implemented similar schemes, had also shown “massive increases” in GDP growth. Foundation for Human Rights deputy director Hanif Vally said research had shown that the more unequal a society, the more adverse social situations it faced, including health problems such as homicide and obesity. He said the NHI would promote equity in accessing healthcare services and social cohesion. “Dignity is an essential value of society, but when people live in poverty, there is no dignity, so we are in violation of human rights all the time. "The reason people are poor is they lack capabilities such as the right to housing, food and health,” he said. Vally said only between 18% and 20% of people had medical aid in South Africa, but more than 50% of doctors and even more specialists serviced them. Health Professions Council of SA president Kgosi Letlape called for medical schemes to be scrapped, saying around 3 000 to 4 000 medical practitioners currently worked in the industry. He said NHI could not coexist with medical schemes, which were a “crime against humanity” for excluding the poor and causing a brain drain from the public sector.